Students and young professionals living in Midtown San Antonio, Texas have a variety of nightlife and entertainment at their fingertips. But no matter how great the party is, everyone looks forward to returning to the comfort of their homes at the end of the night. The same goes after a long day of work or school. Your house or apartment is a space of rest and relaxation you can’t wait to get back to! Part of the fun of having your own apartment is decorating it according to your personal style. There are many home decor stores in San Antonio that provide all the pieces you need to make your home as comfortable as possible, from rugs to sofas, lamps to wall art, and much more. 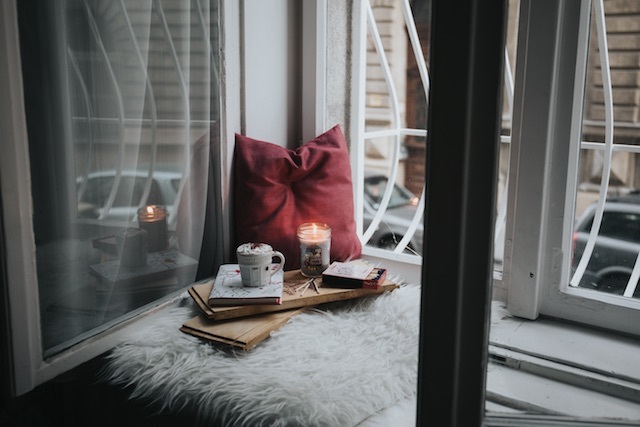 There’s no place like home, and you can turn yours into the stylish pad you’ve always dreamed of with these apartment decorating retailers in San Antonio and shopping tips. We know exactly where to shop in Midtown for decor and how to get the best deals. Macy’s: Great for classic pieces to fill your kitchen, living room, or dining room. Texas Treasures: Perfect for Texans who love everything Texas! Here, you’ll find decorations featuring the lone star and other iconic Texas imagery. Primarily Purple: Ideal for those whose apartment decor includes a purple color scheme. Find unique trinkets to decorate your shelves, bedroom, or office space all in the color purple. Shopping Tip: These stores are not exclusive to home decor and primarily focus on apparel. While they are good for finding trinkets to add to your apartment decorations, they aren’t ideal for finding furniture or large pieces. North Star Mall is one of San Antonio’s most popular shopping destinations. There are over 180 stores with a handful of home goods stores. The mall also offers a variety of services and amenities, including free Wi-Fi and stroller rentals to make your shopping experience as enjoyable as possible. Department stores: Department stores carry a diverse range of products, often including home goods. Curtains, bedspreads, and tableware are a few items you can expect to find at these types of stores. North Star Mall has three department stores carrying home goods: Dillard’s, JCPenney, and Macy’s. Yankee Candle: Candles are both functional and beautiful as decoration for your apartment. Not only do they look nice on a shelf or table, but they can fill your apartment with a pleasant scent. At Yankee Candle, you can find decorative candle holders, colorful candles, wax melts, and reed diffusers. Brookstone: Thanks to the gadgets at Brookstone, technology can be part of your apartment decor. Decorate smarter with items like their smart lamp with an induction charger. They also carry items like candles, pillows, and blankets to amp up the comfort of your home. Shopping Tip: Check the websites of these popular retailers for coupons before heading to the brick-and-mortar location. Also, you can download the mall’s app to get access to a map and shopping information. At Home is San Antonio’s decorating superstore. If variety is what you’re looking for, At Home has it. Their selection is wide, with decor and furniture for every room, style, and budget. You can find everyday pieces along with holiday and seasonal decor. Shopping Tip: Sign up for At Home Insider Perks emails to get a 10% off coupon. For artistic and culturally influenced home decor pieces, visit Market Square. 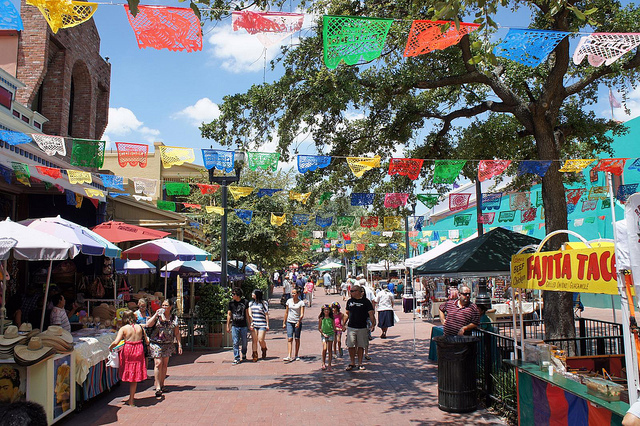 This three-block outdoor plaza is the largest Mexican market in the United States. It’s lined with shops and restaurants in downtown San Antonio, Texas. Items commonly sold for the home include folk art, pottery, textiles, and more. See what the vendors are up to on the Market Square Facebook page. By shopping here, you know the items will be one of a kind, and you get to support local small businesses. Shopping Tip: Take your time and be patient when shopping at Market Square. With nearly 100 vendors, it’s easy to get overwhelmed and overlook the perfect item for your home. Market Square, photo by David via Flickr. The Shops at La Cantera is an upscale outdoor shopping mall located in the La Cantera district of San Antonio, Texas. Here, you’ll find many stores dedicated to home goods and housewares. Department stores: The anchor stores — Dillard’s, Macy’s, Neiman Marcus, and Nordstrom — provide a variety of stylish home decor items. Brookstone: Like North Star Mall, the Shops at La Cantera also has a Brookstone for high-tech gadgets to furnish your home. Test out one of their massage chairs, and consider bringing one home for your living room. Pottery Barn: If you enjoy a rustic or country style of decor, Pottery Barn will have items that fit your taste perfectly. 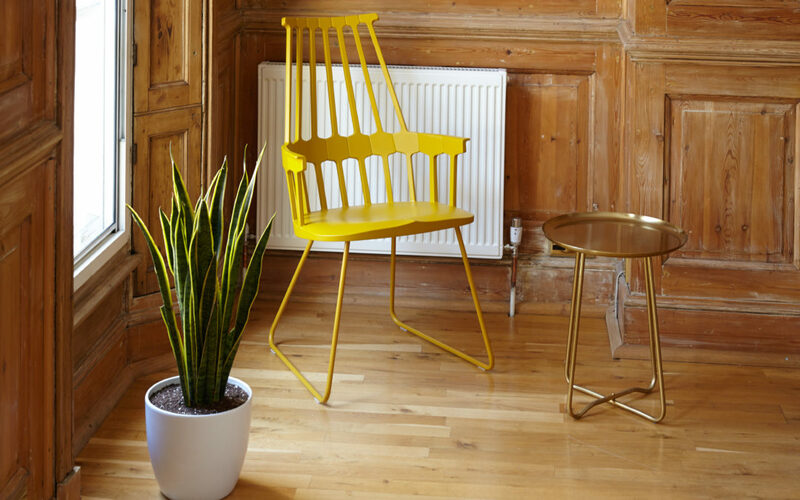 They also carry modern and contemporary pieces for city chic apartments and homes. Sur La Table: If your favorite room in the house is the kitchen, you should go to Sur La Table. Inside. you’ll find stylish and functional cookware that will take your cooking up a notch. Williams-Sonoma: Find polished and mature items for your home at Williams-Sonoma. They sell kitchenwares and home furnishings that will give your apartment a sophisticated look and feel. Z Gallerie: A trademark of a well-furnished home is art. Bare walls can leave an apartment feeling empty or unfinished. Jazz up your apartment with some artwork from Z Gallerie. Shopping Tip: The Shops at La Cantera offer exclusive shopping packages for discounts and deals.